Snoopy dawns his red, white, and blue in this patriotic piece designed by Jim Shore. With a flag in hand, this Peanuts front man is dressed to the nines in his Fourth of July best! 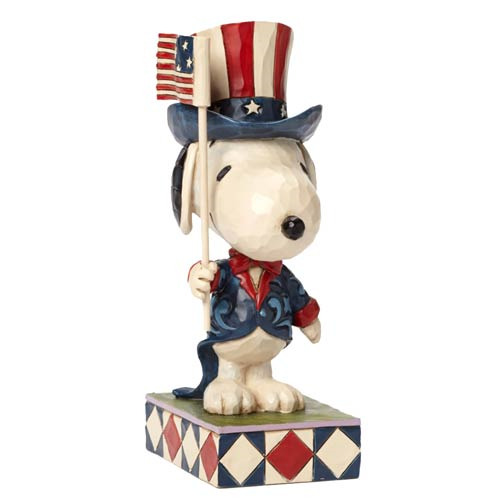 The Peanuts Traditions Snoopy Patriotic Statue is made of stone resin and measures approximately 6-inches tall x 3 1/4-inches wide x 2-inches long. Ages 15 and up.